30 January, 2014-All Projects, Groundwater Engineering, and WWDC Projects. The Lander Level II Water Supply Study consisted of three phases: Phase I – the Paleozoic Aquifer well siting study; Phase II – exploration well construction; and Phase III – conceptual design and cost estimates. Several potential Paleozoic Aquifer well sites were identified during Phase I, one of which was selected as the site of the Lander Exploration Well. 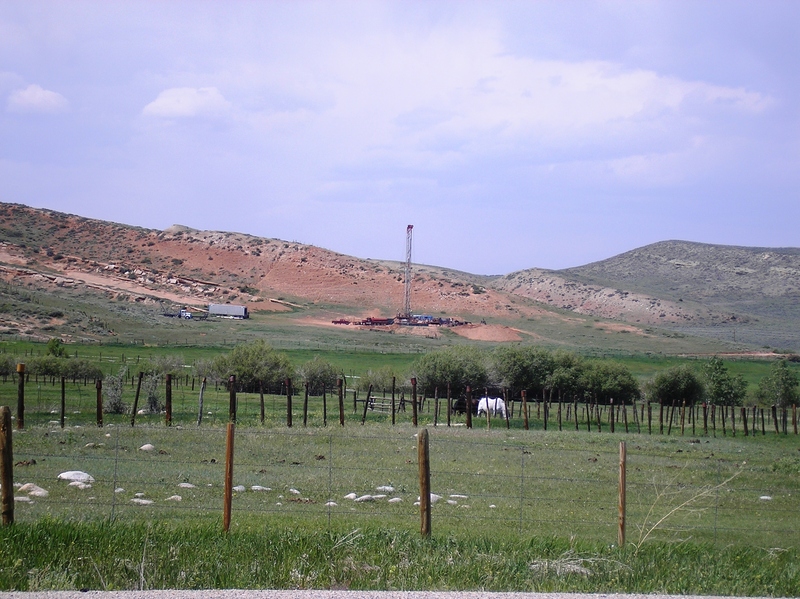 Phase II, which consisted of permitting, developing bid documents and selecting a drilling contractor, and drilling, constructing, and testing the Lander Exploration Well, was conducted during late fall and winter of 2003 and 2004. 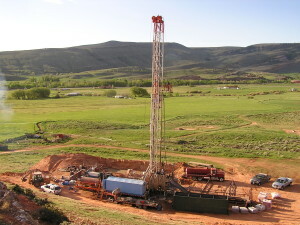 Because of the desire of the City of Lander to deepen the Lander Exploration Well to test the hydraulic properties of the Madison Limestone, Phase II was amended to include additional drilling and construction services. Phase III will be completed by December, 2007. 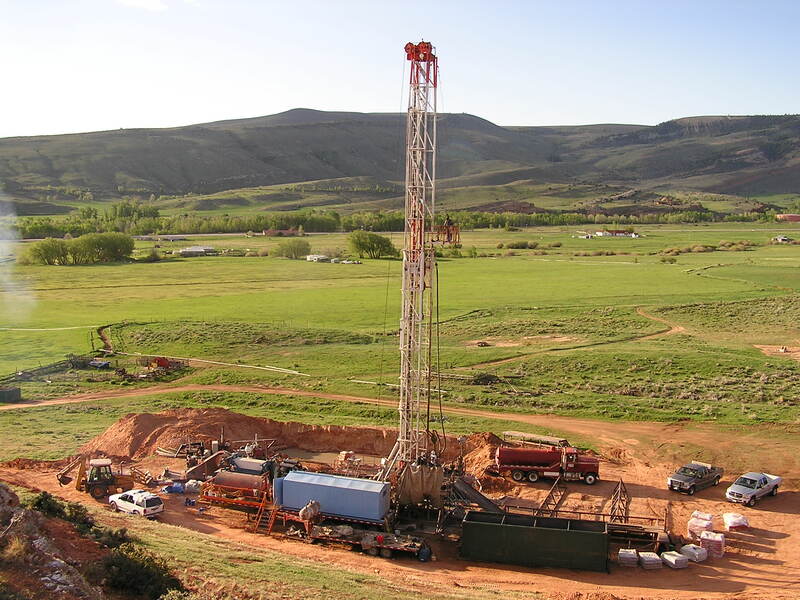 The major purpose of this Level II Water Supply Project was the drilling, construction, and testing of an exploration well completed in the Paleozoic Aquifer. The Phase I Paleozoic Aquifer well siting study identified eight potential well sites within the 400 square mile study area. The Tensleep Aquifer was identified as the target aquifer for the Lander Exploration Well based on water quantity and quality issues, as well as depth to the aquifer. As part of Phase II, WESTON revisited areas within the drainages of the Middle Fork of the PopoAgieRiver, Baldwin Creek, and Squaw Creek for considering potential well sites. WESTON also interviewed LanderCity officials and local property owners regarding their interest and concerns regarding potential exploration well sites. Four potential exploration well sites were identified within the three drainages using the same criteria employed in the formal well siting study. The Lander Exploration Well was drilled to a depth of 2,545 feet during the fall and winter of 2003. Although the well was pump tested at a rate of 325 gpm for a period of seven days, it was not capable of yielding large enough quantities of water to meet Lander’s needs. 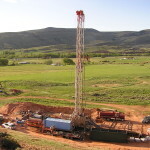 As a result, the decision was made by WWDC to install a liner assembly in the Lander Exploration Well and drill through the Madison Limestone to ascertain the productivity of that formation. Due to the lack of bidders, WESTON contracting services was selected to conduct the well deepening project during the summer of 2007. Because the Madison Limestone yielded only 20 gpm the well was deepened to test the productivity of the Flathead Aquifer. A constant rate flow test was performed at a rate of 100 gpm after drilling to the base of the Flathead Formation. 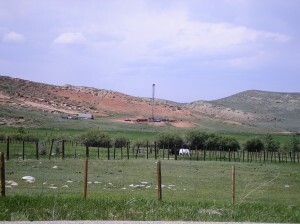 Based on the lack of favorable geologic structures to target in the vicinity of the City of Lander and the low yields of the Tensleep Sandstone and Madison Limestone at sites not located on a suitable structure and the potential for a well completed in the Flathead Aquifer to yield 300 gpm without pumping, WESTON recommended that the City of Lander consider constructing a Flathead Aquifer well at a location near the existing water treatment plant.